Visible in England and Germany, this total solar eclipse happened on August 2, 1133 CE, and prompted many descriptions in the chronicles of both countries. For the English, the eclipse occurred the day after the departure of King Henry I, being interpreted as an omen of his death. 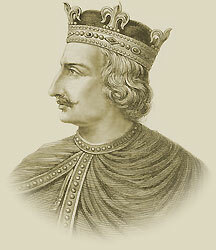 In fact, the king died shortly afterwards in Normandy, which subsequently confirmed the superstition. As for the Germans, they associated the darkening of the Sun to the sack of the city of Augsburg and the massacre of its inhabitants by Duke Frederick. One of the most celebrated eclipses in the Middle Ages was called the "Black Hour". It happened in Scotland and it has been said that darkness came about 3 pm on June 17, 1433 CE, and was very deep. The Roman Emperor Constantine, in 324 CE, moved the capital of his realm to ancient Byzantium, which he renamed Constantinople. This capital ruled the eastern Mediterranean and the Black Sea region for more than a thousand years, providing a strong government and continuation of the Roman Empire after it collapsed elsewhere. By the 15th century, the Ottoman Empire, in a large expansion, set out to conquer Constantinople. 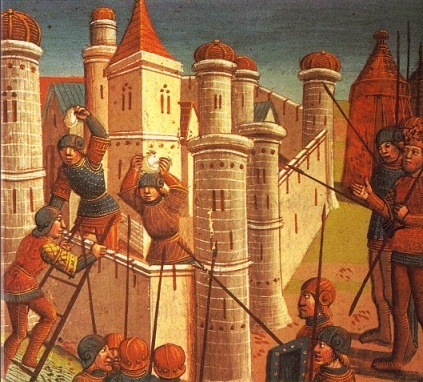 The Turks laid siege to it in 1402 and 1422, without success, the city being surrounded by impenetrable walls. In 1453, the troops of Sultan Mohammed II returned to the walls. In addition to 250,000 men, the Turks brought a new eight metre long cannon, capable of firing 600-kg cannonballs. Despite everything, the city's defenders, scarcely 7,000 men in number, repelled three assaults and repaired their damaged walls each night. They were confident in old predictions, according to which Constantinople would never fall. The full Moon rose in eclipse on May 22 and their morale collapsed. Six days later, Mohammed II tried a new assault and succeeded, routing the defenders. A postern gate had been accidentally left open and some Turks entered the city. As the Sultan's men passed the walls, the fight turned into a tumult and Constantinople's defense collapsed. The terrible sack of Constantinople that followed lasted three days and was a major shock to western civilization. In this case, the eclipse had been seen as a bad omen by the Constantinople side and could have contributed to their losing the battle.